Website Project: Yoga Shala - House of yoga - is a yoga studio that focuses on Inspiration, Mindfulness and Balance. Practicing Vinyasa, Hatha, Yin, Pre natal, One-on-One yoga, Mantra Yoga & Pranayama, as well as introducing other special yoga classes from time to time. The client required a new website to better encourage local residents in Nicosia - but also other parts of Cyprus as well as visitors - to take up the practice of yoga, thereby helping to help bring balance into their lives. In doing so, of course promoting the yoga studio and its yoga classes. At the same time, creating a platform to maintain regular blog posts about yoga, but also general kind-loving philosophies. 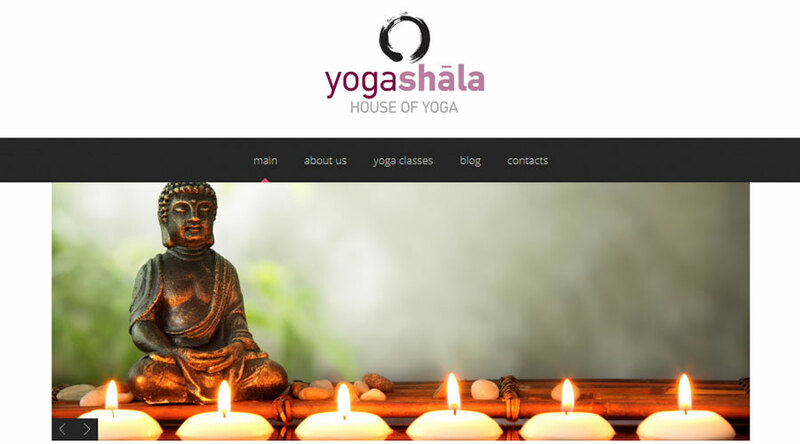 To achieve this, the website had to be visually attractive and in line with the sector, take into consideration an easy and enjoyable user navigational experience (UX website design), and offer rich content on the concept of yoga and its benefit, the studio and its teachers, as well as the various classes available at Yoga Shala. In turn, the website would be easily found online, via many key search terms and phrases in search engines, and via other digital communication channels, such as primary business directories in Cyprus and social media (namely Facebook). Advice on best practices in maintain the website's dynamic content, and in external digital communications. No doubt, this yogashalacyprus.com website has instantly become the leading website for a yoga studio in all of Cyprus, and indeed rivals most other international sites. It is ultra modern in design, simple and easy to navigate, and offers an enjoyable reading. The site's back-end infrastructure is also simple to maintain, allowing the client to dynamically add new content to help drive new traffic. Yoga Shala will no doubt enjoy significant added exposure in the Cyprus market, helping to increase positive awareness about the practice and philosophies of yoga.